The weight loss industry has an annual revenue of $20 million dollars and that’s just in the USA. New prescription diet pills rarely get the government approval necessary for their distribution, but new over-the-counter diet pills are popping up every day. The market is saturated with weight loss products, but statistics provided by the World Health Organization show 39% of adults are overweight. Worse still, the figures show 41 million children (under the age of five) are obese too, so this is a problem that’s being carried forward to a new generation. 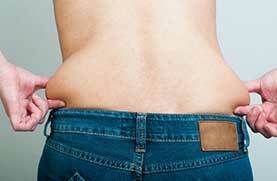 People who want to lose weight are generally faced with a number of options. The first thing they can do is to take careful note of their calorie intake, switch to healthier food choices, and pursue a more active lifestyle. This is actually the most natural and efficient way to lose weight. It’s also one of the hardest because hunger urges are difficult to resists and overweight people tend to be so out of shape regular exercise can be a daunting prospect. A second option is to buy over-the-counter diet pills. Prescription medication is another way to go, but this is a route many dieters will not be able to take because doctors only prescribe such medications to people who have become dangerously obese and suffer from medical conditions that cause their overweight nature to present additional health risks. Prescription medication is also only available as a short-term treatment and generally offers dieters an extremely limited level of support. Nor is it an alternative to diet and exercise, these things will be required as well. Very few new prescription options have become available in recent years, but there has been far too many over-the-counter diet pills to mention. 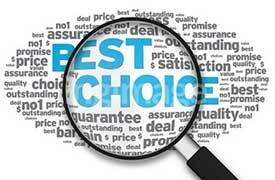 New ones are being added to the market all the time, so we’ll concentrate on the ones that are most noteworthy. As you will see from the table above, the prescription-only diet pills are known to cause side effects and only offer dieters a limited level of support (hunger control). This may be a surprising revelation because Belviq, Contrave, and Mysimba could be seen as being doctor endorsed. To a certain extent this is true because, like that old favorite Phentermine, they all have proven appetite suppressing capabilities. However, it has to be remembered, if it was not for the health risks related to their use, such strict controls may not be required. Belviq is a particularly unsavory option because it can be addictive. Mysimba is also a controversial diet pill and European health watchdogs consider it offers too many dangers and too few benefits to be viable as a safe weight loss aid. Gravitate Supersculpt is similar to the prescription options in that it’s primary function is hunger control, but it does not cause side effects and comes with a companion product that provides additional benefits that can further assist weight loss and may help improve the overall health. Many dieters already swear by the product so, for anyone who only needs help with their hunger urges, its a pretty good supplement to choose. However, dieting experts state a better level of weight loss can be achieved by the use of supplements that combine appetite suppression with other benefits and offer dieters support in several ways. Phen375 and PhenQ (currently rated no.1 diet pill in the world) are both designed to do this and, as their names suggest, these two new diet pills are intended to offer similar benefits to the prescription appetite suppressant Phentermine, but without causing any of the nasty side effects that are associated with its use. Bearing in mind the number of diet pills available, it may seem strange that obesity levels are rising instead of diminishing, but there are several reasons why this is the case. First of all, diet pills work at their best when they are used alongside diet and exercise. Many dieters fail to do use them in this way. 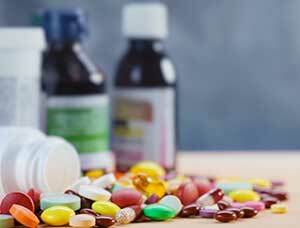 Prescription medications like Phentermine and Belviq need to be used alongside diet and exercise as well, and doctors who prescribe these types of medication always insist their patients make the necessary lifestyle changes. 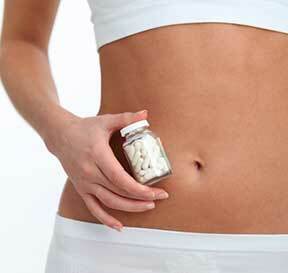 Another problem is a lot of over-the-counter diet pills are not powerful enough to deliver the promised results. This is one of the things that gives diet pills a bad name and many people who fail to do the necessary research and get burned, tar all diet pills with the same brush and give up the search for a good diet pill. They never have chance to discover the diet pills that really work. It’s not all bad though. Whenever a powerful new diet pill like PhenQ is released, the good news spreads fast. People love to talk and this is one of the biggest reasons for the product’s phenomenal success.